Humidors Auction exceeded 980.000 Euros. 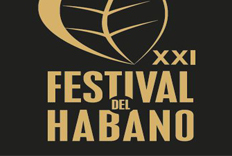 La Habana, 1st March, 2009.– The Festival del Habano, the most important event in the world of the Habano, closured yesterday its eleventh edition. The Gala Dinner, that honoured the first Gran Reserva de Habanos, a Siglo VI from Cohiba with all leaves aged during five years, ended with the traditional Humidors Auction, which reached 981.000 Euros for the sale of seven magnificent humidors, genuine works of art, hand made by craftsmen from best wood containing an exceptional selection of Habanos. As every year, this collection is totally forward to the Cuban Health System. During the gala the Habanos 2008 Awards were presented to those who have made relevant contributions to the world of Habanos year after year. This year, the winners were: in Production category, Cuban Armando Miguel Padrón, to acknowledge his labour in tobacco tapado growing; in Business category, Max Gutmann, for his work in the promotion of Casas del Habano in Mexico; and in Communication category, Oleg Chechilov editor in chief of Smoke Russia, for his role _ Habano’s culture during more than ten years. Félix Hartmann, representing the United Arab Emirates and sommelier of the Burj Al Arad Hotel, was the winner of the VIII International Habanosommelier Comepetition after competing in the final against the Spanish Marco Arnau and the Cuban William Arias Ortega. The winner combination presented by Hartmann combined Romeo y Julieta Short Churchills with a Scotish Macallan, malt whisky aged for fifteen years, which perfectly fits with the Habano’s features, with format robusto and medium flavour. Habanos Corporation, world leader in the market of Premium cigars, commercializes Habanos in Cuba and in the rest of the world. To this end, it has a network of exclusive distributors in over 150 countries in five continents. Habanos S.A. presently distributes a range of products consisting of over 80 formats in its 27 brands, including Cohiba, Montecristo, Romeo y Julieta, Partagás, Hoyo de Monterrey, H. Upmann, Punch, San Cristóbal de la Habana, Trinidad and Cuaba; among others.